Since the terrorist attacks of September 11, 2001, the word hate is being used in our society more than ever, argues respected teacher and author David Augsburger, yet we still most often see hate in others and refuse to see it in ourselves. This book is at once a psychological, theological, and sociological analysis of hate and an argument for moving from hatred to compassion in our dealings with others. 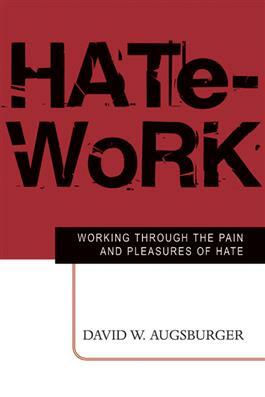 Augsburger explores the different levels of hate, which he believes range across a continuum, from extremely destructive to constructive patterns of hating. As he discusses how it is possible for hatred to become compassion, Augsburger helps the reader understand hate as it operates in ourselves and in others, and he proposes a path to help us move away from violent expressions of hate. The Conrad Grebel Review(Vol. 23, No. 2, Fall 2005)"essential reading for those involved in justice and peacebuilding work, and in pastoral care."